Unless you have a good plan, it is hard to find Anime on TV. Thankfully, Netflix has a nice selection. Netflix and my brother are the reason Sword Art Online came in to my life. Sword Art Online is not your typical role-playing game. To play, you have to use your entire body. However, you are not moving literally. Instead, your mind controls your actions in the game. While your on the game, your body is a prisoner to the Nerve Gear. It’s like your nervous system is cut off from the neck down. So, what would happen if there was no sign out option on your screen. You guessed it! You would be trapped. This is what happened to Kirito and many other players. In order to sign out, they have to beat all 100 floors of the game. Did I mention that they cannot revive? Needless to say, if they die in the game, they die in real life. Who would invent such a game. Honestly, you’ll have to watch to find out. I am not going to tell you. Instead, I am here to show you how you can develop looks from your favorite Anime series without Cosplay. Don’t get me wrong, I respect Cosplay. It is amazing to see what people can do with ingenuity and creativity. However, some people are more subtle with their love. That’s where I come in. I’ve taken a few characters from Sword Art Online to show you how to do it. Without further ado, let’s go! 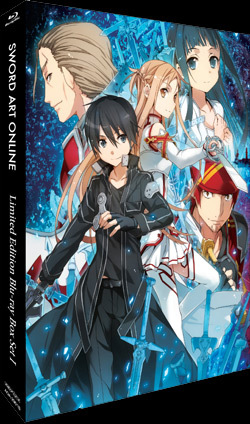 Asuna is Kirito’s main love interest in the show. She is a fierce fighter and very sassy. I will confess, I cheated with the wig. Can you blame me, it is spot on. The main elements that stood out to me were the boots and the crosses. I knew it was going to be hard to find the right trim. So, I went for all white thigh high boots. Since there are crosses all over her uniform, I added a necklace and bracelet. The bodice is amazing on the white top I found. Though I could not find the gloves I wanted, the lace finger-less gloves were a sweet substitute. Spoiler Alert, Lufas is from a different game. This wold is full of fairies that have magic abilities and can fly. Magic and flying were not allowed in SAO, because these advantages are unfair. I won’t tell you what she has to do with the story-line, but i’ll talk about the look. Lufas has a skirt with a front slit and white pants underneath. This is why there are two bottom options. She has gold accent. So, I added gold bangles. Any black corset will do. Her boots do not have heels, this is why i went with a pair with a low heel. Remember, when you are creating an everyday look inspired by an anime character, you have to be reasonable. It is not going to be exactly like the character. This is why it is an everyday look. If you want it to be 100% identical, it is cosplay. Look for the elements that stand out the most to you. Then, find an alternative. SAO is a little difficult, because the clothing is medieval and modern. There are tools out there that can help you find the pieces you are looking for. TheFind and Polyvore is a great place to start.